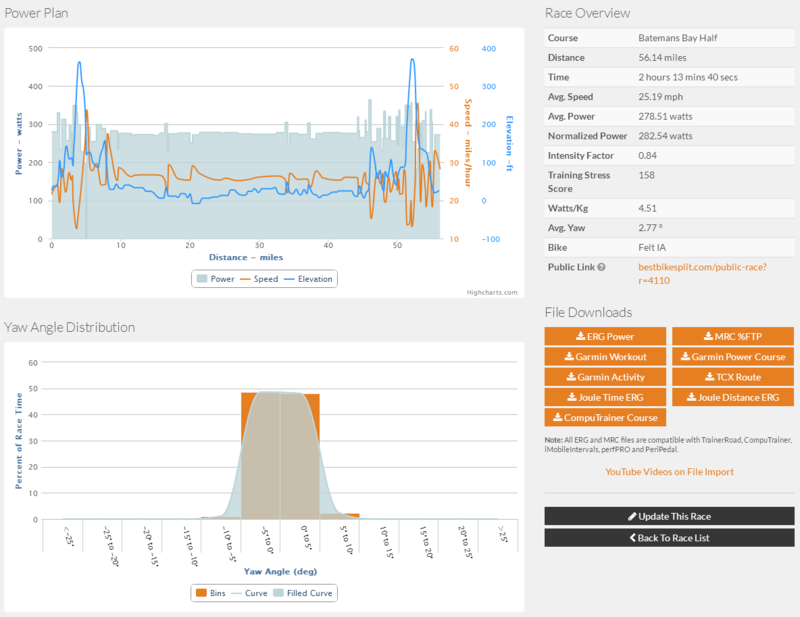 Best Bike Split is a new web application that uses specific details about an athlete’s power abilities and equipment to create a time prediction as well as a power pacing strategy for any upcoming race. The two creators of this site Ryan Cooper and Rich Harpel have spent hundreds of hours developing, testing, and refining their algorithms with the goal of making Best Bike Split the standard for predictive race modeling and analysis for triathletes and time-trialists racing with power meters. With multiple top professional triathletes and a World Pro Tour cycling team turning to them for help it seems like they are on their way. Best Bike Split has recently transitioned from it's beta phase to a member based web application. Standard members will have access to the core functionality of the site, but to unlock all of the features and benefits members will want to upgrade to a premium membership. We were able to get early access to newest premium version of Best Bike Split to provide a review of it's features. Best Bike Split has a simple intuitive user interface. After logging in for the first time the site will guide you through the setup process. During the setup process athletes will enter rider data as well as details about their bike and equipment. Many specific technical details such as drag and rolling resistance will be auto-calculated but more advanced users can overwrite these values based on wind-tunnel data or their own testing. Members have the option of uploading a course from a previously ridden race or selecting an existing course from the Best Bike Split interface. There are currently over 2000 courses available on the site which continues to grow everyday. Because the courses are uploaded from members the quality of the courses are dependent on the type of collection device used. In order to ensure course accuracy users should double check course maps and elevation profiles or select a verified course from the system. Courses that are marked as verified have been painstakingly researched to ensure elevation and distance accuracy. 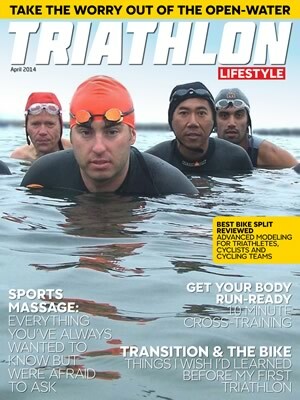 Premium members can submit requests to Best Bike Split for new verified courses. Once a member has completed set-up and added a course or courses to their account they can start to create race plans. This is where the real power behind Best Bike Split starts to shine. To set up a new race plan a member simply fills in some course details as well as the expected race conditions. We used weather underground to get an idea of what the typical wind conditions were like for the time of year of the races we tried out. As a race approaches you can rerun the plan to narrow down your strategy. Finally we had to choose whether we wanted to run the race plan as a Power Based or Time Based model. The power based model uses goal power targets to plan out an athlete's pacing strategy, while the time based model uses a goal time to determine how much power is needed and an optimal pacing strategy to achieve the time. The only downside is that the application does require the user to have some knowledge of training and racing with power, but with a little reading anyone can learn the basics in less than an hour. Best Bike Split has also created several youtube videos to help users walk through the entire process. The results of a race plan can have a very powerful impact. The first chart shows the detailed power plan as well as estimated speed and the elevation profile. It is sometimes useful to zoom in to see how power changes based on elevation changes. The second chart shows how much time an athlete will spend in each yaw angle range for the race. This can be extremely useful for equipment selection or if an athlete was planning to make purchase a new set of wheels or bike frame. Some wheels and frames are designed to be more aero at specific yaw angles, so by modeling several races athletes can get a good idea of the typical yaw angles they will see at most of their major races before purchasing. Other summary results include details like estimated race time, average power, Normalized Power*, Training Stress Score, and average yaw angle. Some of these metrics are more advanced, but once they are understood can be very powerful especially for long distance triathlon athletes looking to have a good run off the bike. Now that an athlete has a power plan for an upcoming race what are they suppose to do with it? Best Bike Split has thought hard about how best to help athletes with both race specific training as well as execution on race day. As a start they have provided multiple file downloads that are compatible with both popular training applications such as CompuTrainer or TrainerRoad as well as popular cycling computers and watches like the Garmin Edge, Garmin 910XT/920XT, or the PowerTap Joule GPS. Details on these downloads and how to use them can be found on the Best Bike Split Youtube Channel. In the future they are looking into developing an app as well as integrating directly with new cycling computers and potentially heads-up-displays such as the Recon Jet. Overall Best Bike Split has created a very sophisticated tool to help triathletes and cyclists get the most out of training and racing with power. While there is a small learning curve to figure out and understand that terminology (especially regarding power metrics) the application is very easy to use and the video guides help get even a novice up and running in minutes. For anyone who owns a power meter or is thinking of starting to train and race using power we suggest you try it out at www.bestbikesplit.com for yourself and see what you think.